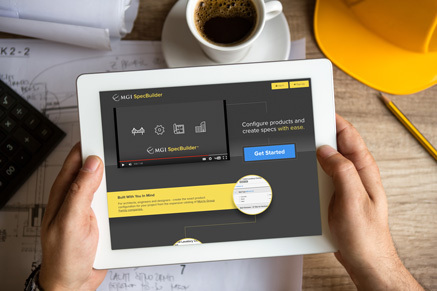 MGI SpecBuilder for Architects, Engineers, and Designers. Morris Group International is proud to announce the release of SpecBuilder™, an innovative and advanced technical tool specifically designed for architects, engineers and designers. With SpecBuilder, configuring products and creating specs is as easy as clicking a mouse. Create the exact product configuration for your project from the catalogs of these MGI divisions. Acorn Engineering Company® manufactures plumbing fixtures, products and systems for institutional and commercial markets. Acorn Control's® a line of safe showering and tempering products designed for the most challenging demands of all commercial, multi-family residential and industrial facilities. Acorn Safety is a line of Emergency Drench Equipment designed for the for use in commercial, and industrial facilities. Chronomite Laboratories Inc. has been the innovative leader in instantaneous water heaters for a wide variety of commercial, industrial, institutional and residential applications. Elmdor/Stoneman designs and manufactures access doors, roof flashings and roof hatches. Our team strives to create an optimal product that is functional and attractive. Murdock® Manufacturer is a leading designer, manufacturer and supplier of outdoor drinking fountains, hydrants, pre-engineered park & recreation buildings, and bicycle security lockers. Neo-Metro® is the leading manufacturer of stainless steel luxury bathroom fixtures. We take a designer's vision and turn it into a reality. Whitehall® has been serving the Healthcare and Rehabilitation Markets with quality products since 1946. This is an exciting featured tool for MGI because it assists both reps and clients to design and build an entire plumbing specification quickly and efficiently.